In the now-grand tradition of Hero Initiative?s previous and wildly successful 100 Project books, Mike Mignola?s signature creation comes to the fore! 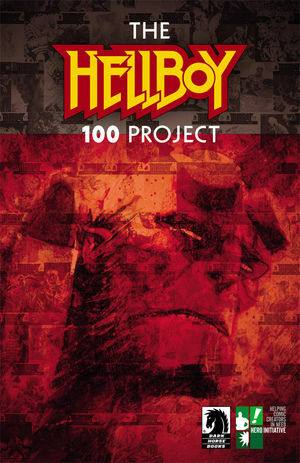 ALL of Hero?s original covers to Hellboy and the B.P.R.D. : 1952 #1 are on display in this great book, with art by John Cassaday, Francis Manapul, Todd Nauck, Whilce Portacio, Eric Powell, Paolo Rivera, Bill Sienkiewicz, and of course, Mike Mignola! *This book will NEVER be reprinted, and all proceeds go to Hero Initiative and comic book creators in medical and financial need!